Caption slip reads: "Photographer: Lapp. Date: 1957-04-16. Assignment: Examiner bowling. 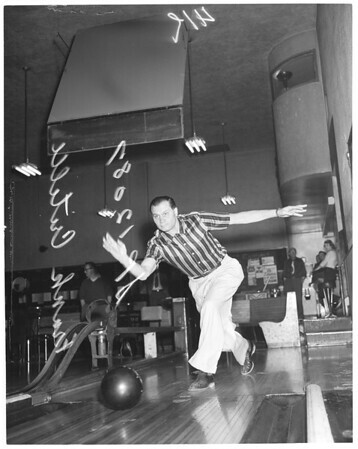 3/4/5/6/41/42: Frank Critelli '300' game in Examiner bowling tourney at Southeast Center. (Al Bine will pick up neg. Wed.)".